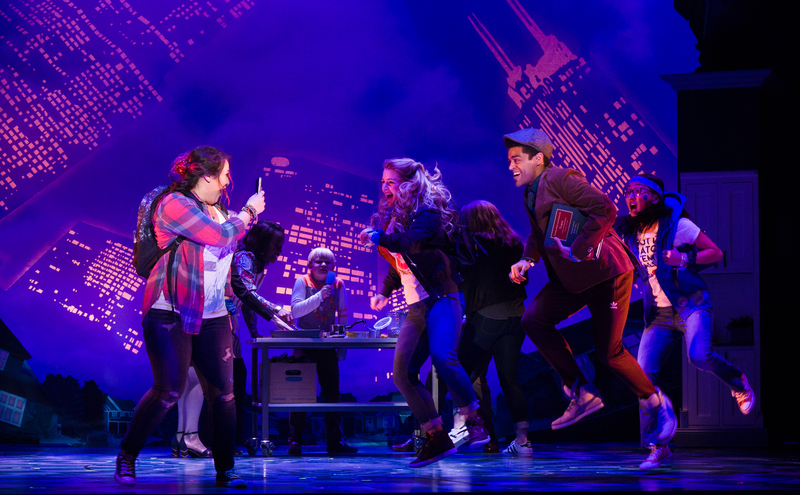 Freaky Friday, A New Musical based on the film of the same name is a modern take on a familiar story. But it’s more than that. Bridget Carpenter (book), Tom Kitt (music), and Brian Yorkey (lyrics) have turned this classic film into a musical! And it is so good. Leads Emma Hunton and Heidi Blickenstaff are simply amazing in the roles of Ellie and her mother Katherine respectively. Wow is really all I can say. When the characters swap bodies both Emma and Heidi do a convincing job of portraying the other. And both can sing the roof off of the building. Seriously. 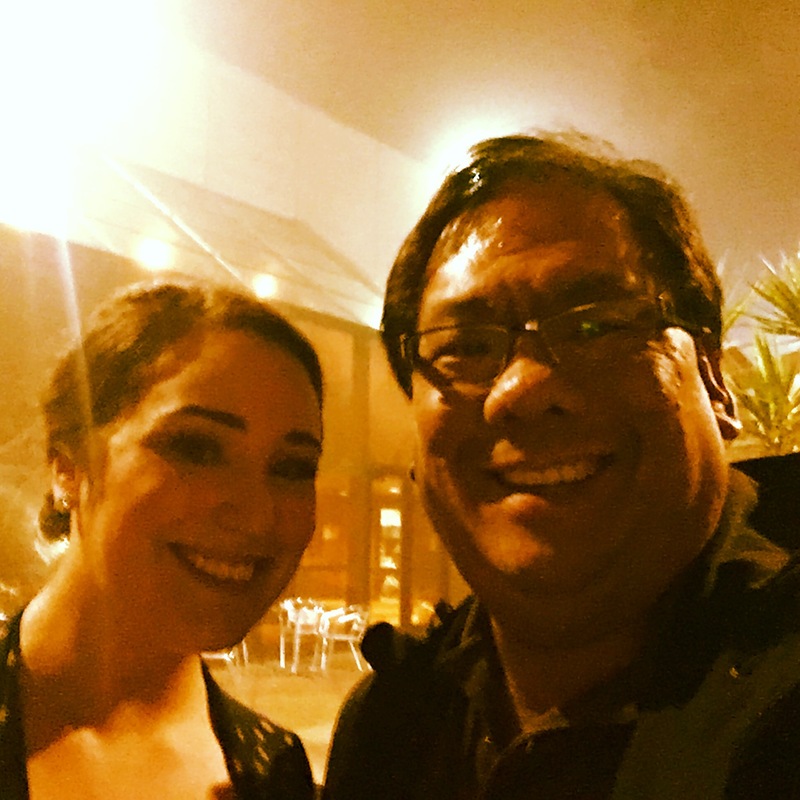 Thanks so much to Emma Hutton for taking a selfie with me after the show. She was SO good! The essence of the story holds true to Mary Rodgers original vision but takes some definite twenty-first century twists. Roller boards, a selfie scavenger hunt, standing up against body shaming, and a blended family are some of the ways this refreshing story adds to the original, but it’s really the songs that make this new version such a treat. The opening number Just One Day is a passionate way to start the show that flows with such heart and is backed by music that is heart-pounding. Ellie’s Oh, Biology sung with her crush Adam and the other students is a great teen love song of angst and hopeless romance. Ms. Luckenbill’s forthright calling out of the principal, the teachers, Ellie and Katherine in trying to pin blame for Ellie’s behavior in Somebody Has Got to Take the Blame was moving. But it was Katherine and Ellie’s powerful duet in Bring My (Baby) Brother Home that was a show-stopper. I nearly got to my feet right there. The only uncomfortable song for me was Women and Sandwiches which I’m never good with comparing women to edible products. But Chris Ramirez as Adam does a great job in the role and he has such a obvious chemistry with the other actors, he is thoroughly enjoyable. (L-R) David Jennings, Heidi Blickenstaff, Jake Heston Miller and Emma Hunton in La Jolla Playhouse’s production of Disney’s Freaky Friday, book by Bridget Carpenter, music by Tom Kitt, lyrics by Brian Yorkey, directed by Christopher Ashley, running January 31 – March 12 in the Mandell Weiss Theatre; photo by Jim Carmody. Why the musical isn’t headed toward Broadway, I just don’t know. It certainly is entertaining enough to make it on the Great White Way, but you’ll have to search for it in local theaters throughout the country. Before heading to La Jolla Playhouse out here in California, it first played a run at the Signature Theater in Arlington, VA and next heads to the Cleveland Playhouse for a month beginning April 15 and then on to Houston at the Alley Theater beginning in June. The soundtrack is available now for digital download on the Disney Music Emporium website where you can also pre-order the physical CD (or do both like I did). 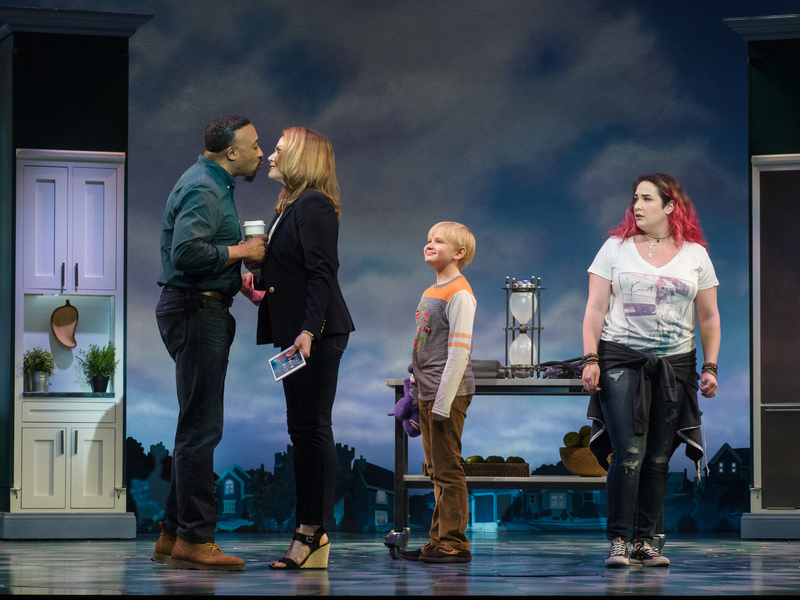 Emma Hunton (left) and the cast of La Jolla Playhouse’s production of Disney’s Freaky Friday, book by Bridget Carpenter, music by Tom Kitt, lyrics by Brian Yorkey, directed by Christopher Ashley, running January 31 – March 12 in the Mandell Weiss Theatre; photo by Jim Carmody. My only complaint with the play? They didn’t serve sandwiches and 7-layer bars at the concession stand after the show was over. I SO would have bought both. You’ll have to see the show to understand.